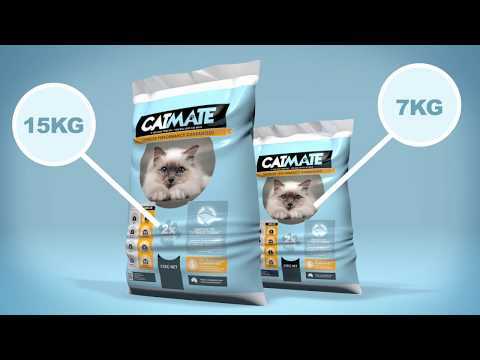 Catmate is the guaranteed solution for cat owners seeking quality cat litter that is easy to use and super absorbent. With Catmate the area is always left fresh, clean and hygienic with no tracking or smells. Natural anti-bacterial agents in the pellets eliminate odour, and soluble properties enable it to be used in grated kitty litter trays. 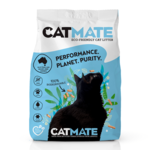 Catmate is eco-friendly and Australian made and can be disposed as green waste or in the garden. After something different? See our entire range of Cat Litter. Want to learn more? Learn more about urinary issues in cats. This product is amazing! I used to use clumping clay cat litter, but a) it was getting absolutely everywhere b) it smelled bad c) it was getting expensive. This litter solved the problem! I switched to a sift tray system. Originally I was hesitant due to how expensive the initial tray was, but I saved a lot on the long run. Not only is this brand of litter very cheap, but it also lasts longer, is less maintenance & works better than the Oz Pet brand because it breaks down easily. Just a warning, this will not work with normal pet litter trays, since it turns into sawdust after the cat urinates in it. another perk is you no longer have to clean out the entire tray because every time the cat pees, it is essentially using new cat litter which is better for both the cat and the human! Thank you pet circle! Great litter option! No chemical smell and is great value for money. After trying just about every litter available, we came across this one due to our old one not being available and haven’t looked back. It’s fantastic highly recommend it. Very happy with the product, especially compared to typical supermarket litters. Smell much better contained with daily scooping compared to clay or crystal. We just have normal standard litter trays that we use for this. Cats transitioned easily to new litter, just topped up the litter with thin layer of their usual stuff to transition it out. Will be buying again. I love this litter for my cat. It is more absorbent and my cat doesn’t make as much mess when using it. I also like that you can discard used litter in the green waste bin. More environmentally friendly and the cost is quite affordable.